More comprehensive knowledge about clouds and their impact on atmospheric conditions is beneficial for improving forecasts and safety. 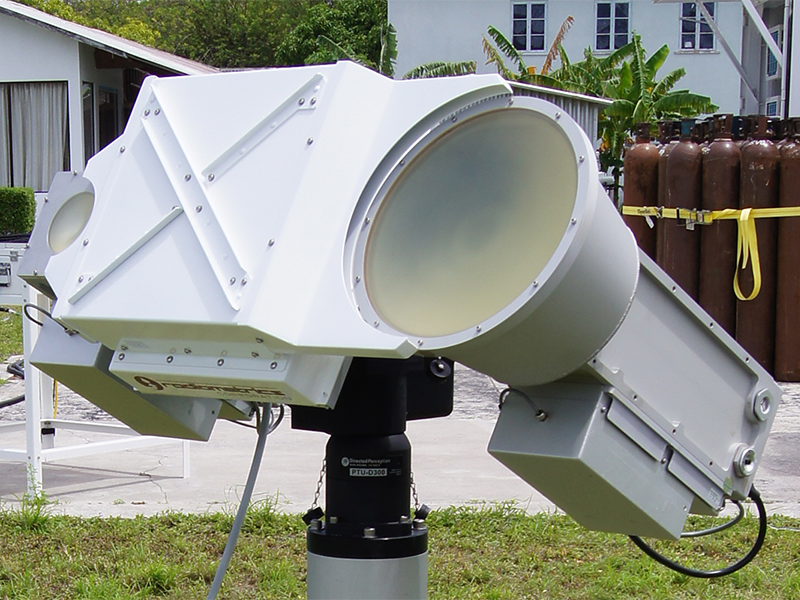 Microwave radiometers have long been used in weather and climate studies to retrieve cloud liquid water temperature and atmospheric water vapor content. Traditionally these radiometers are operated at two frequencies: one centered near the water vapor absorption line at 22 GHz, and the other in an atmospheric transparency “window” (part of the spectrum where there are no absorption lines) around 30 GHz. A third frequency in another atmospheric transparency window around 90 GHz is often added to increase sensitivity to low liquid amounts and improve the retrieval accuracy. In a new study to be published in the Journal of Atmospheric and Oceanic Technology, CIRES and NOAA researchers at the Earth System Research Laboratory describe a novel approach for retrieving additional information from three-channel microwave radiometer measurements, in particular the average temperature of cloud liquid. This study demonstrates that the ratio of cloud liquid optical thicknesses at frequencies around 90 and 30 GHz is very sensitive to liquid temperature. Since this ratio is readily available from standard microwave radiometer measurements, the average cloud liquid temperature can be retrieved without the use of other expensive active remote sensors (e.g., lidars, radars), which are often used to detect cloud boundaries but have their limitations. Besides improving a quantitative description of cloud radiative impact, microwave radiometer-based retrievals of average cloud liquid temperature can be used to detect supercooled liquid cloud layers, which could pose aircraft icing hazards. Authors of Retrieving mean temperature of atmospheric liquid water layers using microwave radiometer measurements are: Sergey Matrosov of the ESRL Physical Sciences Division, and David Turner of the ESRL Global Systems Division.